Yey! 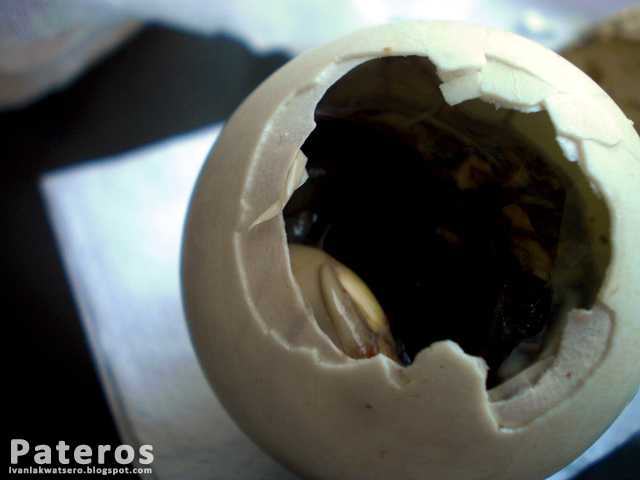 I finally reached Pateros, the Balut Capital of the Philippines. Though dwarfed by the surrounding cities of Taguig, Makati and Pasig, Pateros is actually a highly urbanized town, a 1st class municipality. It's not new to many that this little town is the only one left non-city (Pateros is a municipality) in the National Capital Region. Being the Balut Capital, my wandering feet brought me to this small friendly town. 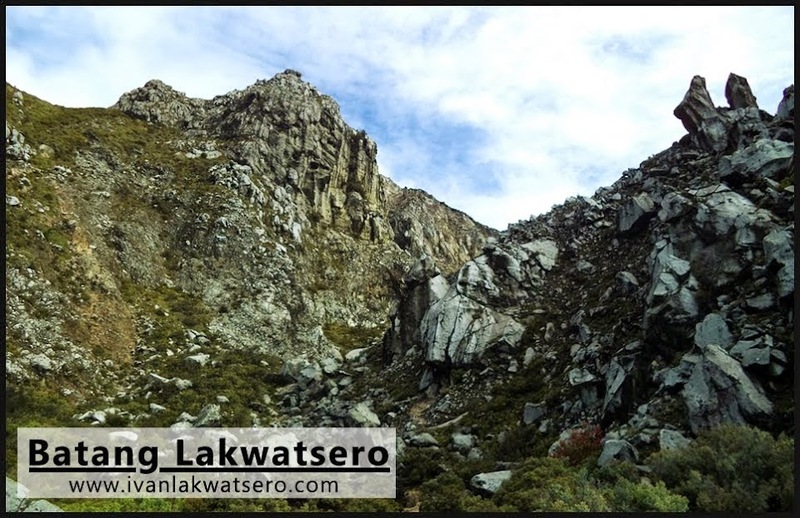 My journey begins - the way to Pateros. 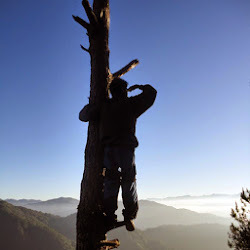 Last Thursday (July 14), I headed into this small town, I did only a little research (sabi ko sa sarili ko, dun na lang ako magtatanong ng mga pwedeng puntahan). From my place in Manila, I rode LRT2-MRT and alighted at Guadalupe Station. Then I walked several meters towards the Guadalupe Market, I saw street posts directing me to the Pateros Jeepney Terminal. Yey, I found the terminal, quickly I boarded the jeep. 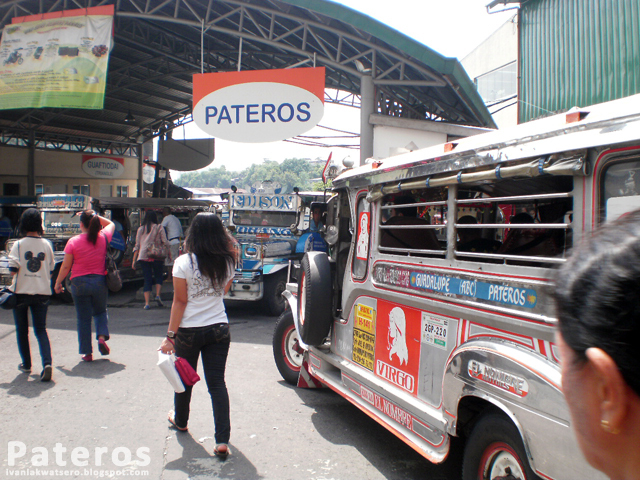 The fare is P10.00 direct to Pateros, and the trip was roughly 15 minutes. Now What to do in Pateros? I just walked and walked and walked under the heat of the 12 o'clock sun. The first site I visited was their old church, I'm not sure though when it was erected, I found no historic marker as my reference. 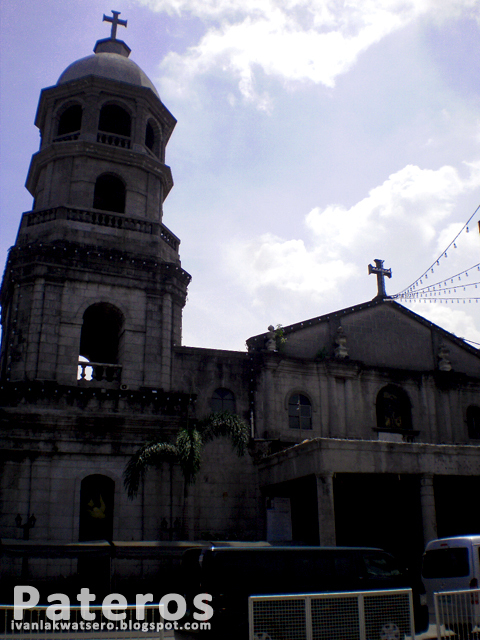 It has a tall bell tower that can be seen upon entering the town from Makati. the Church of Pateros, I found no marker so I have no other info about it. 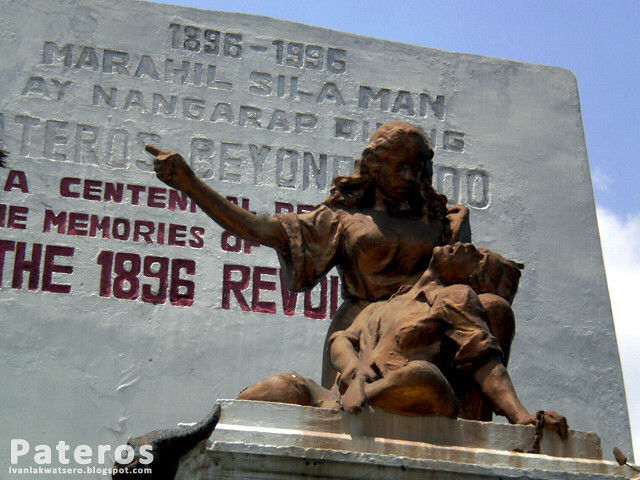 I continued my walk on the length of Almeda street until I reached a monument at the end of Bagong Calzada Street. It is called "Dulong Bayan Monument". 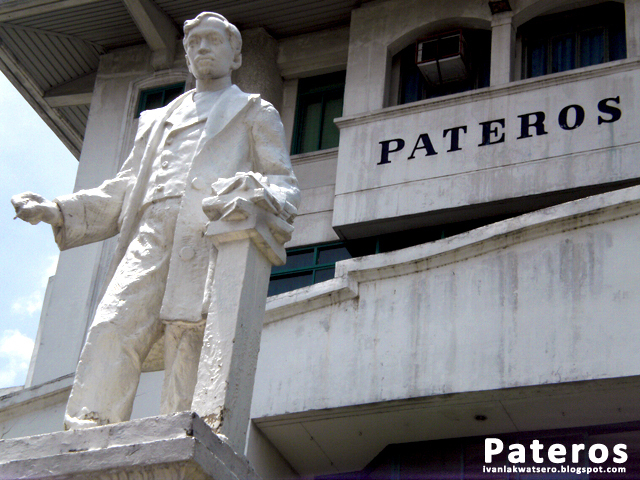 The people of Pateros built this monument in commemoration of the centennial of Pateros' heroism during the Philippine Revolution of 1896. 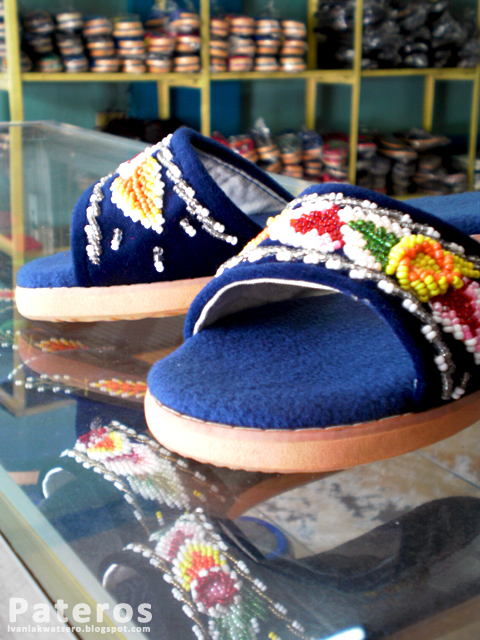 Along my way, I spotted an alfombra store - Alfombra are comfortable slippers covered with soft cloth, what makes it special is that a pair has no left or right distinction. 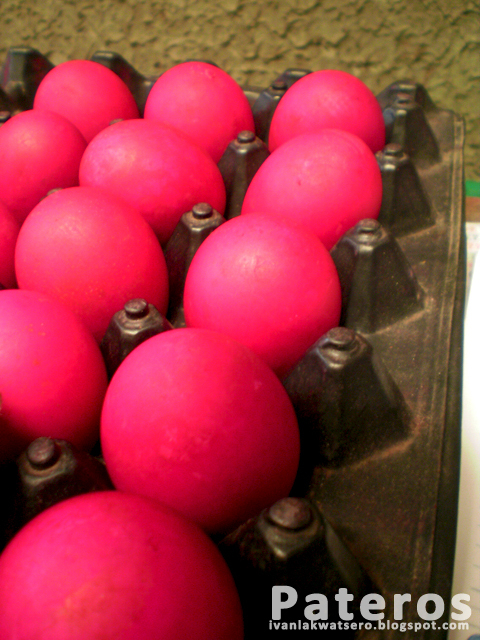 It is one of the town's primary industry aside form balut production. I never tried wearing such footwear, but I think wearing it will pamper my wandering callousy feet. I really have no idea where in this tiny town could I find the balut egg factories and the Bibingkang Abnoy - another exotic food found in Pateros, so I asked the owner of the Alfombra store where to find these. She directed me back to the main street. While hunting for the Bibingkang Abnoy, I saw cool engraves of the town's main products, duck and alfombra, on the side walk. 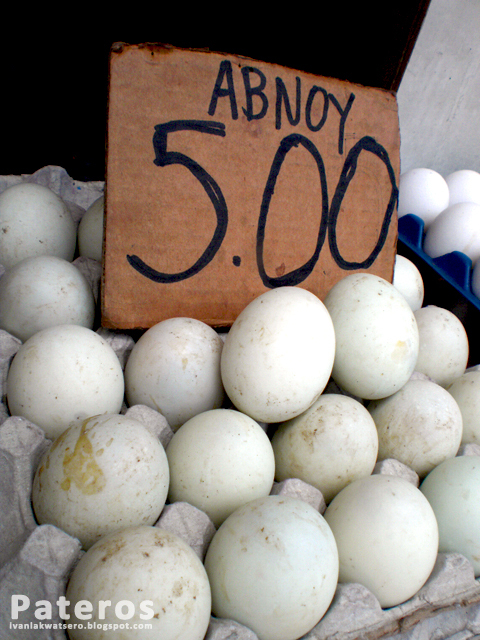 When I reached the factories, I saw not only the balut eggs but also the salted eggs and abnoy eggs. I walked further until I found the Pateros Municipal Hall. Still, Dr. Jose Rizal is the central figure. I was tired and hungry, I wanted to consume the balut and bibingkang abnoy I bought along the street. I then entered Jollibee and ordered my favorite Jollibee Chicken Joy. But before I dig into the taste of delight, I tried first the taste of Pateros' balut and bibingkang abnoy. 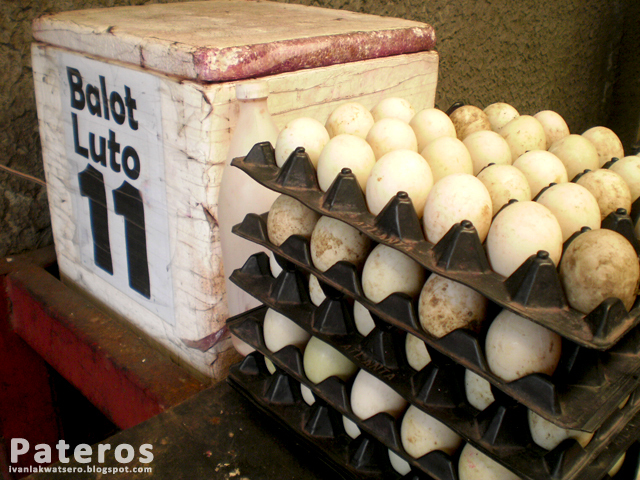 Whenever I hear Pateros, the only thing that pops into my mind are Balut Eggs. Considered to be the Most Terrifying Food in the World by this site, only the brave ones would dare to eat it. Balut is a famous Filipino exotic food, a boiled unhatched developed duck egg, feathery and bony, sometimes complete with beak and feet. Some say that a Filipino is never a Filipino until he tasted a balut, well I am a true blue Filipino since I have eaten a balut many times. Many consider it as "pampatigas ng tuhod" - confidence booster, while others consider it an aphrodisiac. For me, it's just a yummy blood pressure raiser. How to eat a balut: Crack the egg on one side (preferably on the side with the air space), put a hole on the cracked side then sip its delightful juices, peel off the shell to reveal the whole unhatched duckling, add a little salt or vinegar, enjoy your greedy consumption. 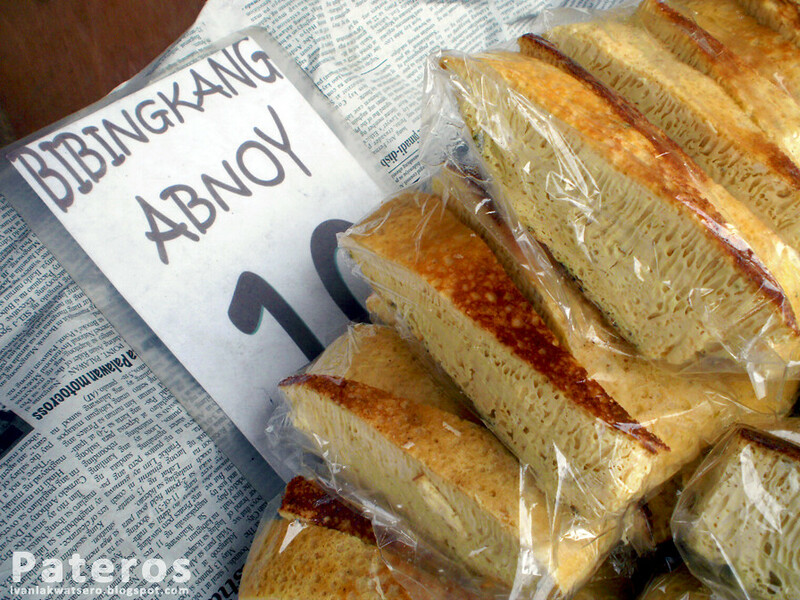 Another exotic food found in Pateros is the strangest bibingka I ever encountered, the Bibingkang Abnoy. Made from the abnoy eggs (undeveloped duck eggs aka "bugok na itlog"), expectedly it smells awful and certainly tastes weird. It actually looks more like a torta than a bibingka. This is a bibingka made for the diabetics since no sweetness will be tasted on it. However, I bet that many would not dare to taste or even get close to this weird food. How to eat a bibingkang abnoy: Don't breath, cover your nose, grab a small slice of the bibingka, dip it in vinegar to enhance its taste, bite it, don't puke, feel the exotic taste. After that not-so-horrible food experience, I rode back to where I came from. Jeep-MRT-LRT2-home. 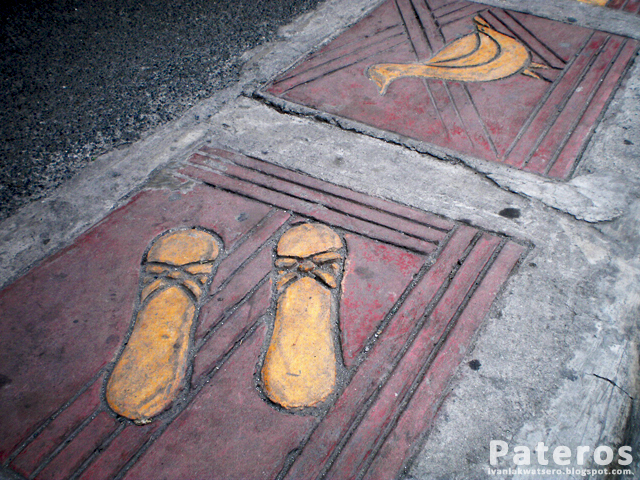 Meron pa palang tsinelas na alfrombra ngayon, madalas ko isuot dati yung alfombra ng lola ko :) Ang saya ng Pateros walking tour mo ah, ang gusto kong puntahan dyan ay yung factory ng ibat' ibang flavour ng bottled balut. Masarap yan... Dati ayaw ko rin yan kasi di ko gusto yong amoy pag binibiyak yong itlog.pero nong ginawa ako ng asawa ko ng fried abnoy,don ko sya nagustohan.masarap naman pala...taga pateros po ako. 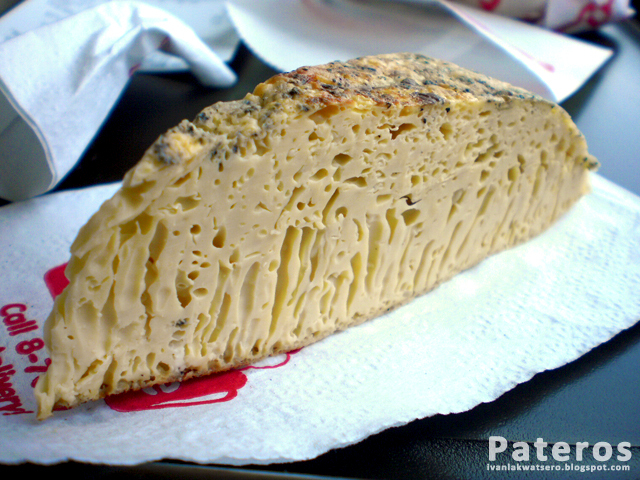 Mukhang interesting yung bibingkang abnoy.. =) Given a time, try ko rin 'tong Bibingka from Pateros. Yung bibingkahan sa Tayuman pa lang yung natikman ko. Naalala ko.. yung tsinelas na alfombra ang pinapamalo sakin nung bata ako. In fairness, masakit siya.. lols! @ms claire, yeah, andaming alfombra :) at ano yung botttled balut, hndi ko lam yun ah. @tripper, wow buti ka pa.